Phillip B. Vanderweide, 72, passed away Tuesday August 14, 2018 at KU Medical Center in Kansas City. The family will receive friends from 4:00 to 6:00pm Monday August 20th at Good Shepherd Catholic Church with a funeral mass directly following at 6:00pm. An Inurnment Service will be held at 11:00am on Tuesday. Mr. Vanderweide was born January 2, 1946 in Atchison, Kansas, the son of the late Wilbur and EstaVanderweide. His childhood was spent on a farm south of Muscotah, KS with his parents, two brothers, Bob and Mike, and two sisters, Judy and Janice. He attended a one-room schoolhouse, Rose Valley, and then graduated from Atchison County Community High School in Effingham, Kansas in 1964 and Emporia State University in 1972. He served in the United States Army from 1968 to May 1970 where he completed an extended tour of duty in the Vietnam war. He married his beloved wife Trudy Ritter on November 27th, 1976. He is survived by his wife, 3 children, Kevin (Michelle), Mark (Sarah) and Jill (Adam) and 7 grandchildren, Samuel, Gracie, Sophie, Eli, Zachary, Bennett, Brielle and his beloved lab, Kallie. He retired from Diebold and NCR Companies in 2010 after nearly 30 years of service. 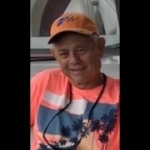 Phillip enjoyed traveling across the country, riding motorcycles, working in the yard and most of all spending time with his family, especially his grandchildren. He will be remembered as a patient, honest man who was a friend to all who knew him. Memorials and donations can be made in his honor to Folds of Honor or American Heart Association. So sorry to hear this news, Phil was a very nice person. Phil was a great person, husband & family man. He will be truly missed. We are so sorry. Uncle Phil was an amazing man who lived a remarkable life. We are grateful for all of the memories that we share and our hearts go out to you. We are sending our love and are here should you guys need anything. Words cannot express the void that is left from my Uncle's passing. To my wonderful Aunt and cousins, my heart is aching for the loss of the head of your family. He was the perfect example of a true family man. My sister and I have so many fun memories from our childhood spending time with Aunt Trudy and Uncle Phil. Our thoughts and prayers are with you. Thinking of the family during this difficult time. Sending our love and prayers. Dear Trudy and family. You are in my thoughts and prayers. I admired Phillip so much - such a great man. I just wanted to let you know that he was very well thought of in our class and his family is in my prayers. There are no words to describe the Vanderweide family and the Patriarch Phil. Phil was the most loving man, that always gave of himself, his time, his love. He has greatly influenced and inspired the lives of SO many. We miss him so. Trudy, I am so sorry to hear about Phil. You and your family are in my prayers. Mark & Family - I am so sorry for your loss. My prayers and thoughts are with you all. Vanderweide Family- We are so sorry and saddened to hear the news of Phil passing. He was a great man, and a great friend. We were honored to have met him. You are all in our thoughts and prayers during this hard time. We love you all. So very sorry for your loss. Phil will be missed so much. We remember him as kind, solid and steady, honorable, and welcoming. He seemed to be a pretty amazing Grandpa too! We always enjoy being with your families. Trudy and family, may the love that surrounds you bring comfort and peace.